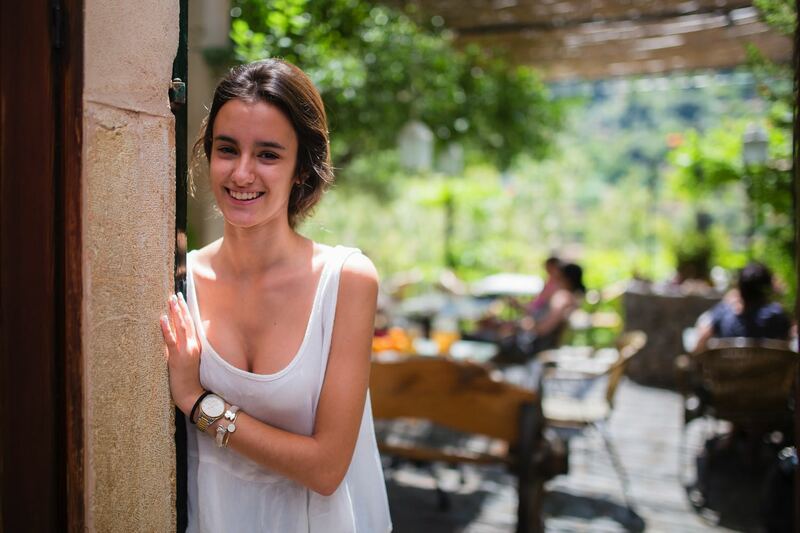 The cozy hostel in the old part of Deià (Majorca) has always attracted many adventurers. It is a good starting point to hike to the sea or in the mountains. 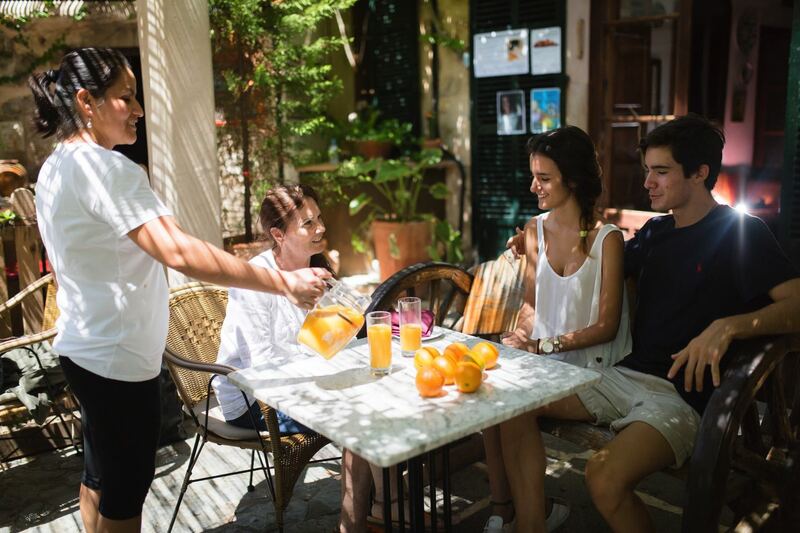 Hostal Villaverde is a small family business where you can enjoy a special and familiar treatment, always at very reasonable prices. 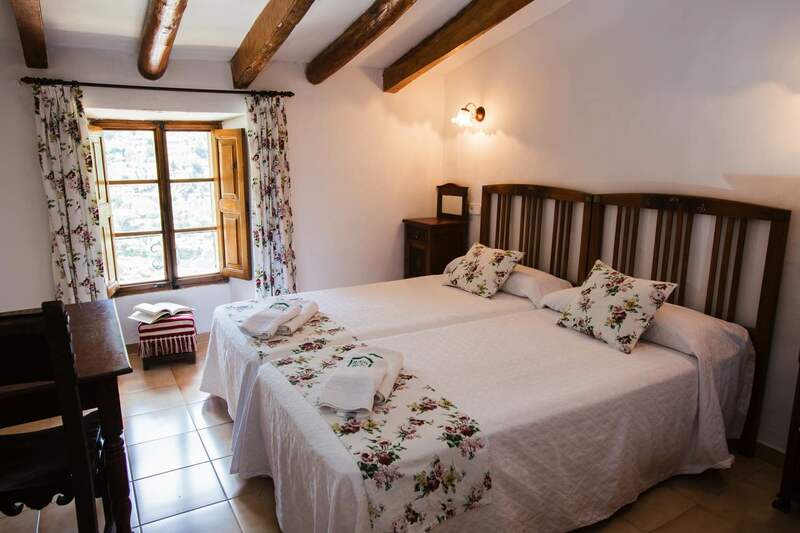 The Hostal is located in Deià, one of the most beautiful towns of Mallorca with breathtaking views of the mountains. 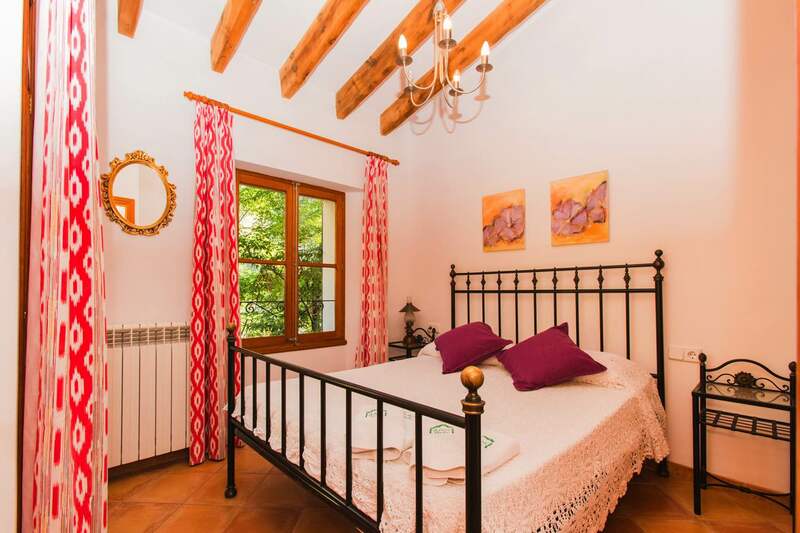 Hostal Villaverde is the perfect place to enjoy more time with your family, your couple or any kind of company. Our 10 bedrooms are specially designed to keep the real atmosphere and culture of the town and the island. If you want to spend your holidays living the real culture of the island, Hostal Villaverde could have the essence you are looking for. 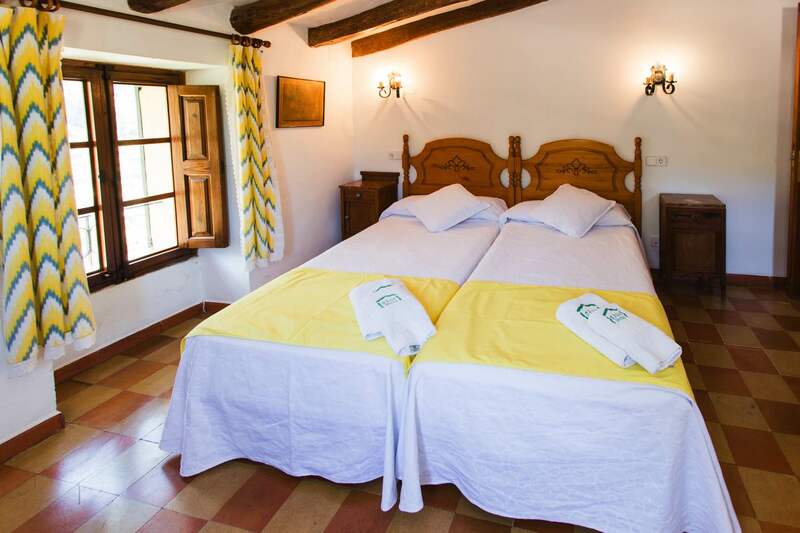 You will sleep in one of the best preserved houses of Deià and the island. The beautiful views from the terrace has become a very popular place. Don’t hesitate to contact us if you have any doubts. The small village was chosen by Forbes among the 10 most idyllic places to live in Europe. 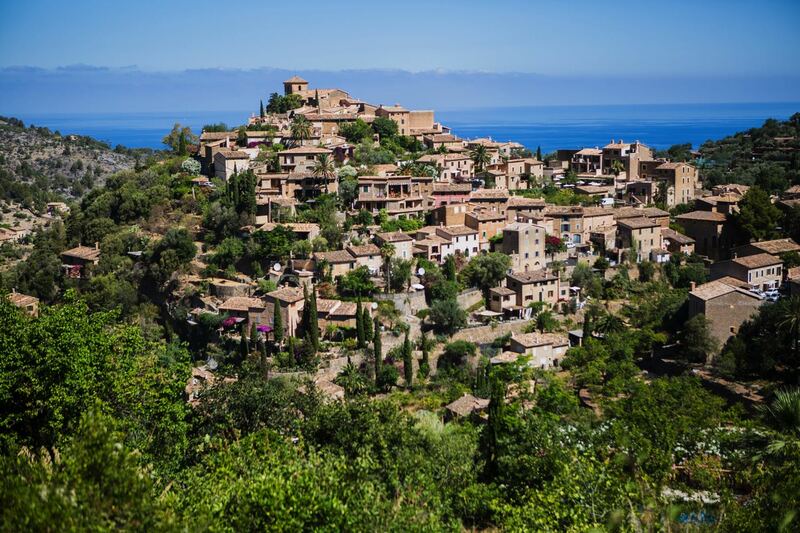 Many people who lives in noisy and stressful places has fell in love with Deià, people who want to escape from their daily lives. 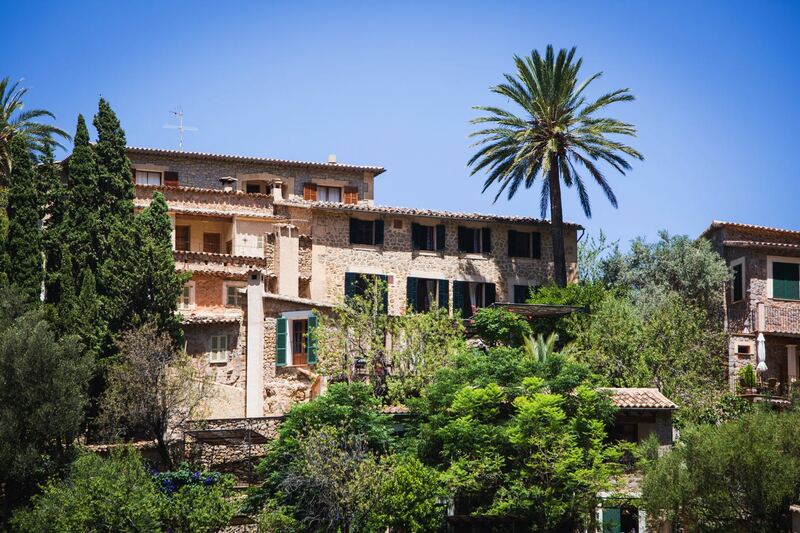 Located in the “Sierra Tramuntana”, Deià has little more than 500 residents. It has uniques views, which attract many artists who inspire in the beauty of nature. The small Cala de Deia is about 20 minutes walk or 5 minutes by car from the hotel. If you prefer walking, you can walk through Deia and go through a beautiful special garden that has many ancient olive trees. If you prefer to travel by car, there is a parking lot about 200 meters from the beach. In the summer, two restaurants are open in which you can eat freshly caught fish.